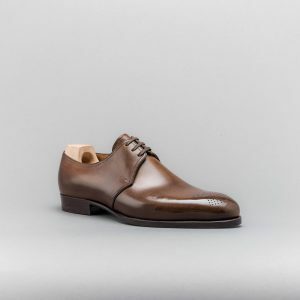 Saint Crispin is a genuine Romanian shoemaker of whose factory based in Brasov, known as the Transylvania bastion of shoemaking since 1463. 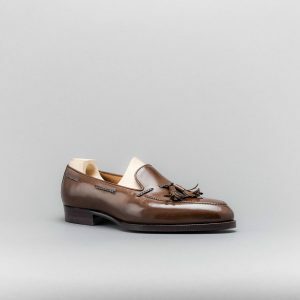 Saint Cripsin’s style is imbued by traditional craftsmanship, and timeless elegance. 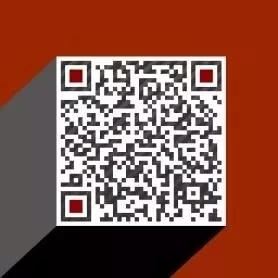 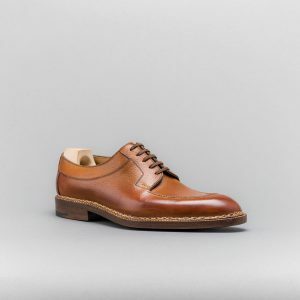 What makes Saint Cripsin’s footwear so special is that everything is handmade, from the shoe box, to shoe last, even shoe laces are made in their factory. 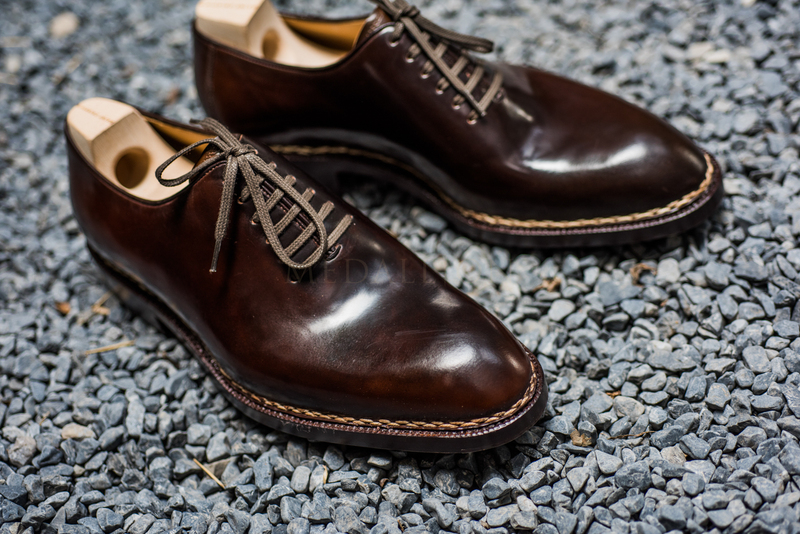 The shoes are hand welted and hand lasted, and wooden nails are used to peg the waist. 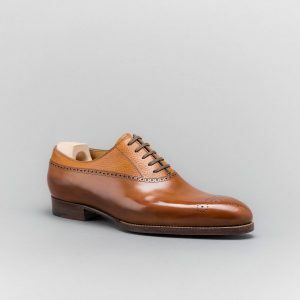 Saint Crispin’s only allows in their manufacturing process the use of a 80 years old manual crank type MS 200 machine from Rafflenbeul for the outsole stitching, as the result is very similar to hand stitched sole for a skilled hand. 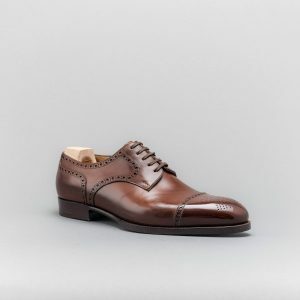 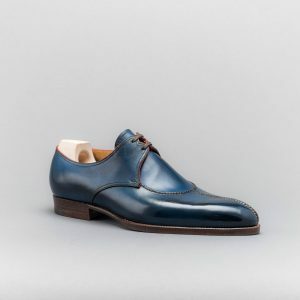 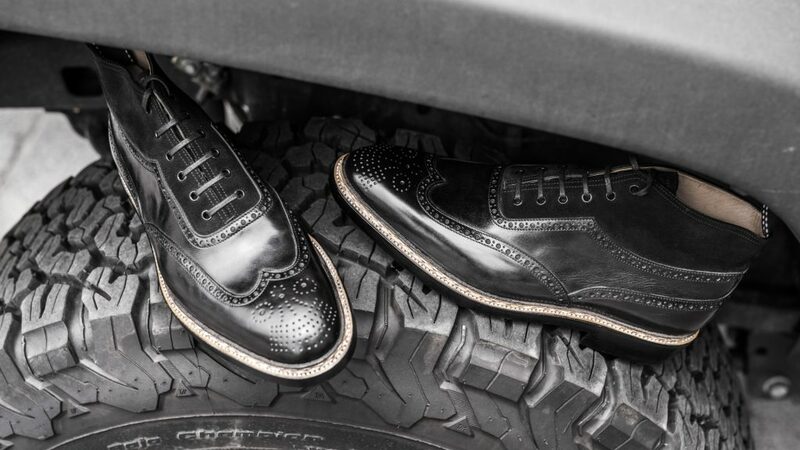 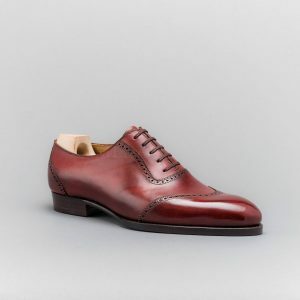 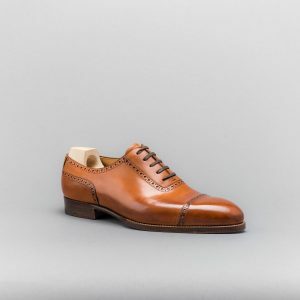 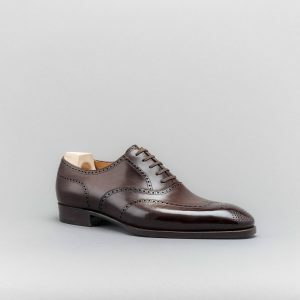 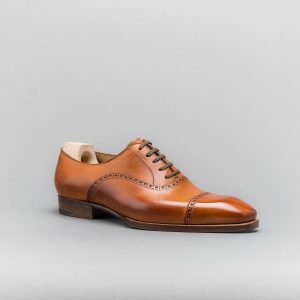 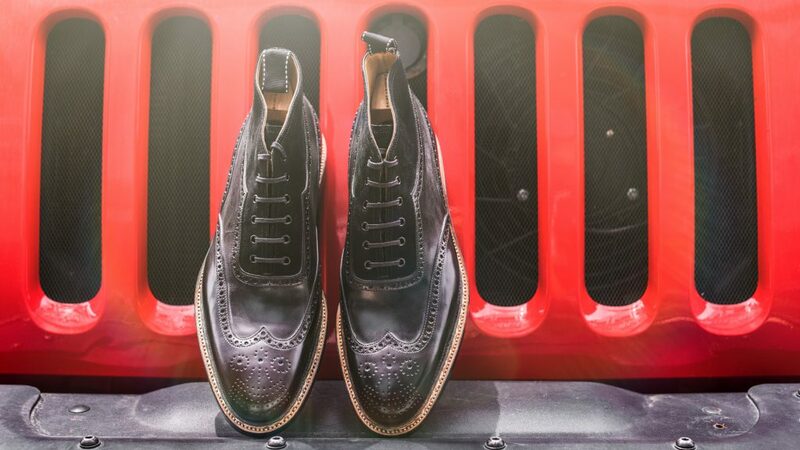 At Medallion, we have been following Saint Crispin’s for a long time as they built a strong reputation for manufacturing footwear imbued by traditional craftsmanship, and timeless elegance among shoes aficionados. 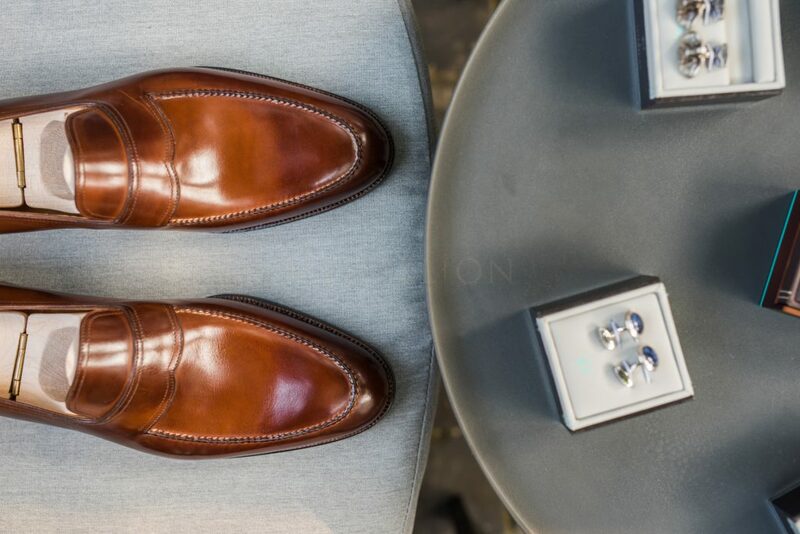 On feet, Medallion’s customers love Saint Crispin’s for the contemporary and sleek lasts they offer meanwhile providing an unpaired comfort. The fit is beyond compare, as the lasts are generous enough for the Asian feet known to be wide, the leathers feel exceptionally soft thanks to the hand staining and our clients with flat feet particularly appreciate Saint Crispin for the arch support they provide, also Saint Crispin’s modified last can be a great solution for those having prominent malleolus or tapered heels. 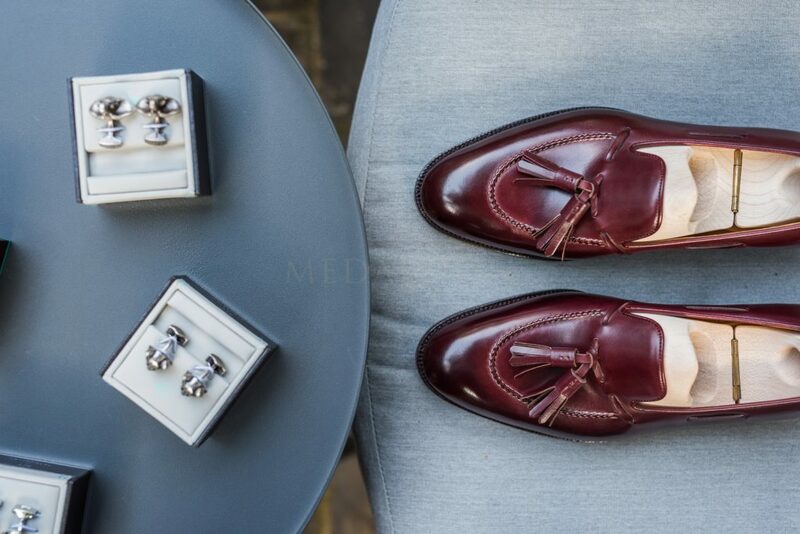 Medallion offers RTWs, as well as MTO, MTM and bespoke services from Saint Crispin’s.